Over the past year or so, I've developed quite the obsession with e-commerce site Revolve. 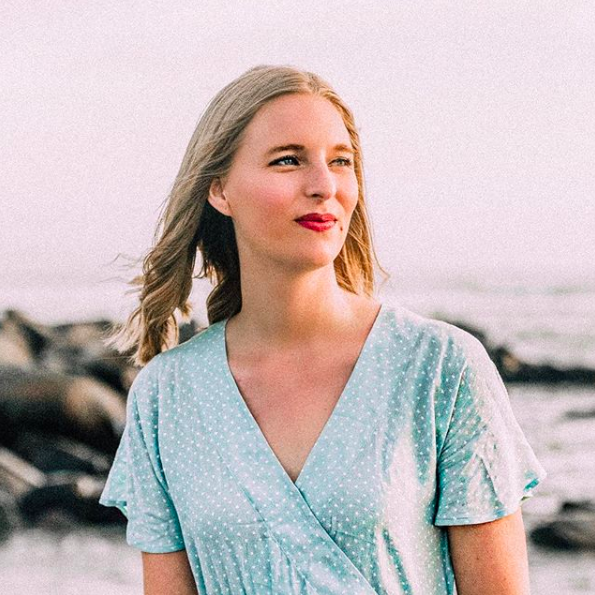 Not only am I in love with the California-cool vibes of the clothes they sell, but I adore the aesthetic they promote on social media and the world they create that revolves (I know, I know) around their brand. 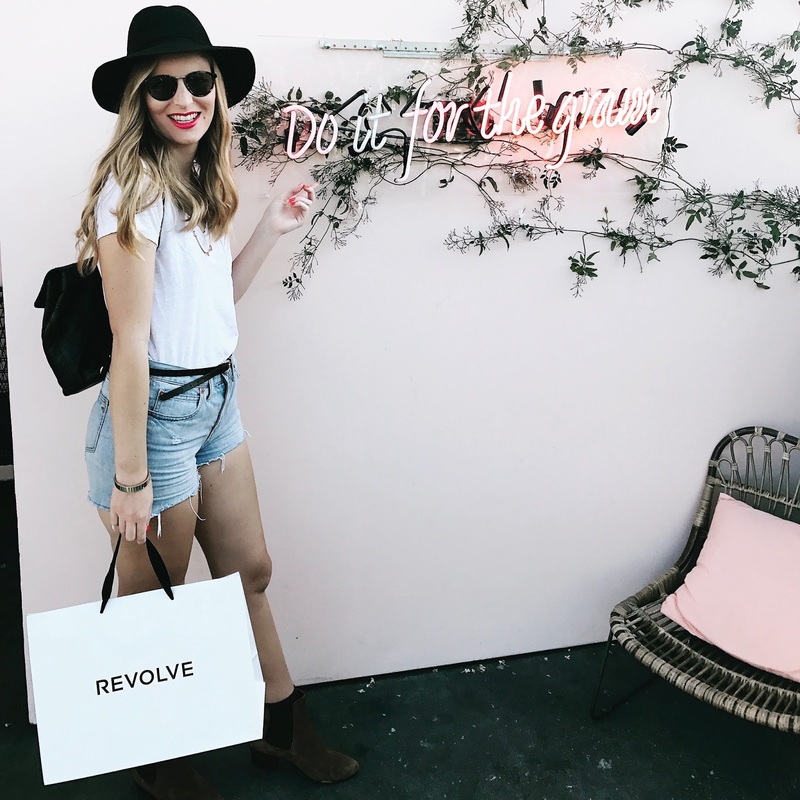 Revolve has become the model of successful social media marketing, from their merry band of gorgeous influencers to their FOMO-inducing getaways in exciting locales like the Hamptons and Anguilla. One part of Revolve's strategy of catering to Instagram-famous girls was to open the Revolve Social Club, a 3-story spot on Melrose full of Tumblr pink accents and trendy neon signage. On a day-to-day basis, the social club is a members-only spot where Revolve hosts parties and invites influencers to try on their latest designs, but this past weekend, Revolve opened the social club up to the public so that everyone could rock their brands to Coachella and beyond. Naturally, I had to be there! But what does one wear to a stylish showroom/boutique that is usually only open to the Instagram One Percent? I'm not going to Coachella (though I know what I would wear) but I used classic festival style as my inspiration point. Meaning: jean shorts, a simple tee, suede boots, a designer backpack...all topped off with a floppy felt hat! Important side note: does anyone have a way to fix the fact that the hems of my shorts always roll up? I love jean shorts but it's impossible to get them to stay juuuust right for more than a minute. Anyway, this outfit is classic LA in springtime, and while it's not my everyday look (wearing a hat takes a lot of confidence and mental preparation, plus I always feel like people think I'm a celebrity in disguise when I wear one) it's a super cute look that you can pull off too! 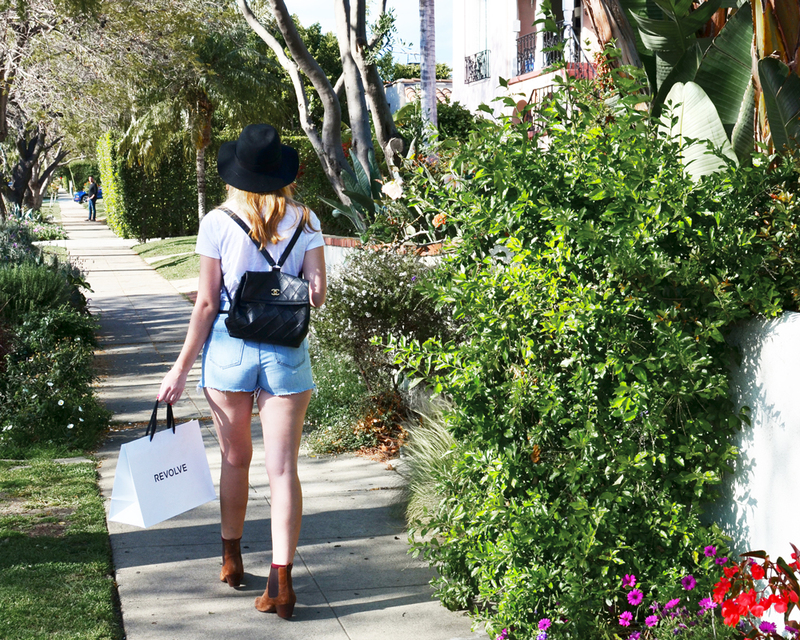 How do you style a floppy hat? Festival style is my favorite! 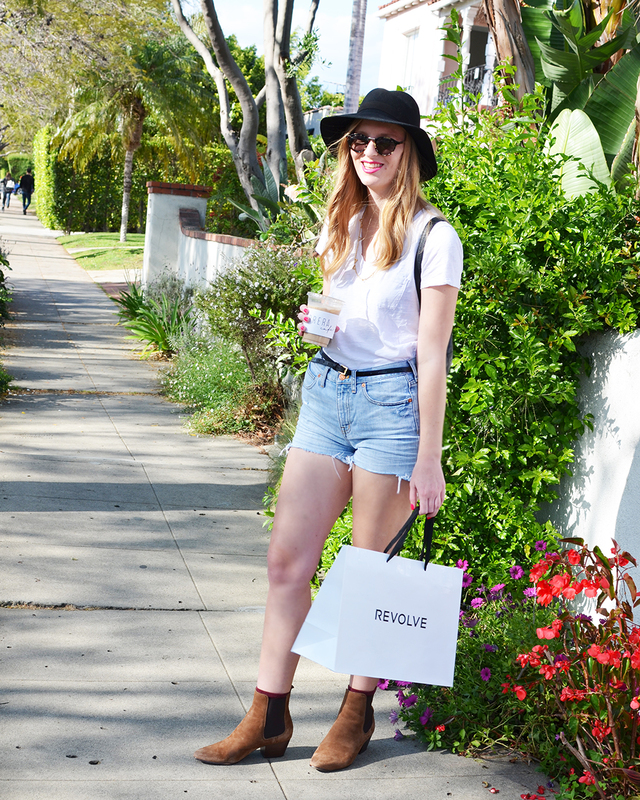 I would love to go to a revolve pop up!